Dretonio returns with his new single Sky Rocket the first release taken from his first studio album titled Dretonio By Design. A smooth British RnB smash-in-waiting Sky Rocket is produced by Enoch John J.O and features Rap vocals of 6 figure music’s E. Mak. In 2013 Dretonio independently released 2 singles Eye Of The Storm Blazay which both featured on various radio station across London including Capital Xtra and Bang Radio. Dretonio also released his EP ‘The Only Way Is Up. The acclaimed recording artists positivity is contagious with his alluring sounds that combine his love of hip-hop with both RnB and popular music. 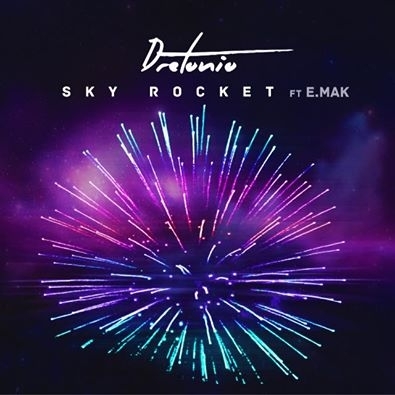 Dretonio’s single Sky Rocket (feat.E.Mak) will be released by on 18th November 2014. Album ‘Dretonio By Design’ will release early summer 2015. Nice Song. Great Work On The Overall. Sounds Like A Banger. Much Love.